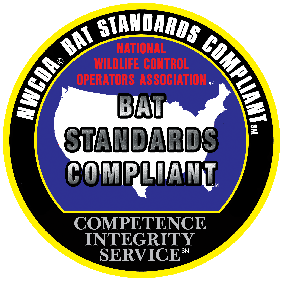 Why can’t I remove bats in the summer? Interesting fact: the bats in your attic are generally all females! They are called a maternity colony, and they are in your attic in order to have a safe place to give birth to and raise their young. The males just roost outside, in tree bark, etc. Female bats give birth to one or two baby bat per year depending on the species, and raise it well. The young are born in late April – early June depending on species, and the young are growing and flightless until some time in August. You can’t do an exclusion while the young are flightless, because they’ll all either die or crawl down the walls of your house and many will find a way inside your rooms.